This beautiful hilltop town – with its winding alleyways, hidden courtyards, and narrow streets – is perfect for a Christmas language adventure. When decorated with festive lights and Nativity scenes, the town becomes even more atmospheric than it is throughout the rest of the year! 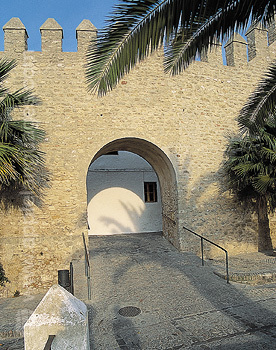 Located on the old boundary between Christian and Moorish forces – hence ‘de la Frontera’ – the town combines influences from both sides of its heritage and turns them into one singular, distinctive culture. Nowhere is this evidenced more than in its festive traditions. Vejer hosts a fantastic calendar of events throughout the year, kicking things up a notch with the traditional Andalusian ‘Living Nativity’ on the last Sunday before Christmas Day. This celebration involves turning the entire town into a recreation of Bethlehem, even including farm animals, ancient crafts, and tableaus of famous Christmas imagery such as the Three Wise Men, the Holy Family, and King Herod. Locals dress up in traditional costumes and re-enact scenes from Bible stories and the Nativity. The festival lasts until around midnight, offering food and drink aplenty, a friendly and social setting, and live music played in the streets until late. 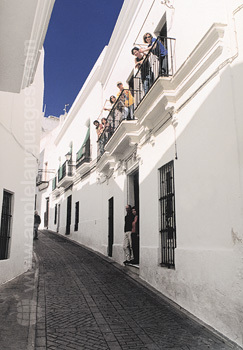 Christmas in Vejer de la Frontera is an important season for spending time with family, for celebrating local traditions, and for enjoying delicious local produce – presents very much come last on the list in this part of the world (they’re not even exchanged until January 6th!). By spending the run-up to Christmas in this classic Andalusian town, you’re guaranteed to have an experience like no other, and one which will stay with you forever! 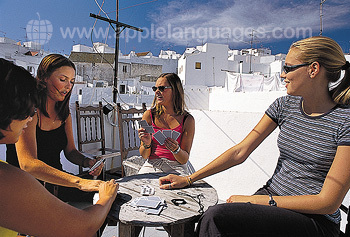 Our Christmas course in Vejer consists of 4 Spanish lessons each day, which take place between 9:00 and 12:50 Monday to Friday (with a 30-minute break in between). 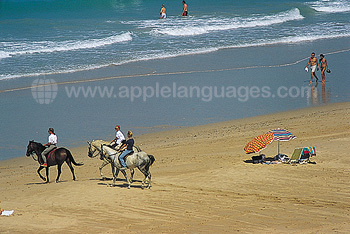 Social and cultural activities take place in the afternoon and evenings. Students are grouped by level, with a maximum of 10 students in each class. 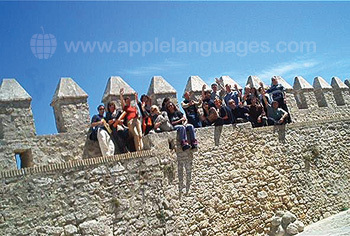 Language lessons cover all aspects of the Spanish language, focusing particularly upon oral communication skills. 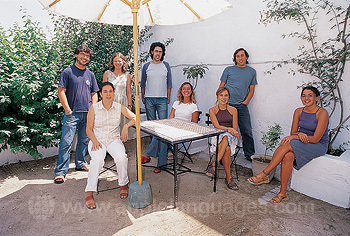 For complete immersion in the Spanish language, we recommend adding host family accommodation to this course. 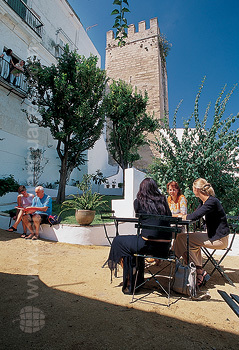 Meals will be provided by your host family, who will cook authentic Spanish cuisine. You can choose between half-board (2 meals each day) or full-board (3 meals each day). Dinnertime presents the perfect opportunity to socialise with your hosts, giving you invaluable language practice outside the classroom; we therefore generally recommend that students book half-board homestay lodging. Your host family will also provide a weekly laundry service, included in your package price. Alternatively, we can add accommodation in an apartment shared with other international students from the school, or in a private studio apartment for your own use. Both the shared apartments and studio apartments are offered on a self-catering basis, meaning you will cook your own meals during your stay. All accommodation is within easy walking distance of the school. Please contact us via email or telephone for more information on these packages. 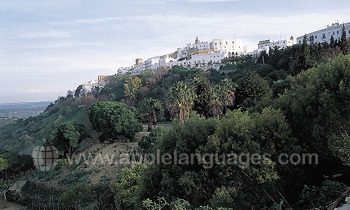 Our school in Vejer also offers an extensive cultural activity programme, many of which are Christmas-themed! 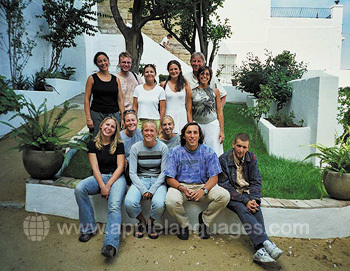 These activities are designed to be both entertaining and informative; they allow you to meet fellow language enthusiasts from around the world and are conducted in Spanish, meaning you can practice your Spanish outside the classroom in real-life settings. Optional airport transfers to and/or from local airports can be arranged at an additional cost, which will take you directly to your accommodation. Please contact us for more details about the locations in which this service can be arranged.